This is Sky Platform! Provided free of charge for all your fragging needs! A small, simple duel map. Constructive criticism is appreciated, as always. oo looks cool. Perhaps some greenery or glass could spruce the place up a little. Are you going for any theme on this one? It's specifically designed to be simple. 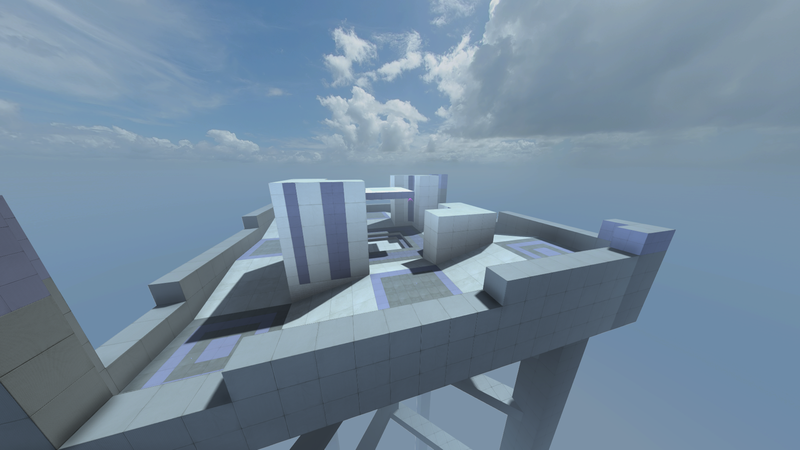 If you want a "complicated" map, check out my other map, Pylon.